Paramilitary troops deployed in Jammu and Kashmir will get enhanced risk and hardship allowance every month with the special benefits of the lower ranks increased by Rs 7,600 and higher officers by Rs 8,100. The decision of the Ministry of Home Affairs came a week after 40 CRPF jawans were killed in a terror attack in Pulwama in Jammu and Kashmir. According to the MHA order, Risk and Hardship Allowance for the Central Armed Police Force (CAPF) or paramilitary personnel has been enhanced from Rs 9,700 to Rs 17,300 per month for troops up to the rank of Inspector and from Rs 16,900 to Rs 25,000 for officers. The enhanced allowance will be applicable to all paramilitary personnel deployed in Jammu and Kashmir and Naxal-hit areas. The decision has been pending since August 2017. In 2017, a committee, headed by the Union Home Secretary, was formed to look into the matter and review the risk and hardship allowances in CAPFs, but no decision was taken till now. Troops deployed in terror hotbeds of south Kashmir like Budgam, Pulwama, and Anantnag and other sensitive places like Baramullah and Kupwara will get the new enhanced allowance. New areas that will cover the risk and hardship allowance include Kulgam, Shopian, Kishtwar, Doda, Ramban and Udhampur and one district in Telangana. 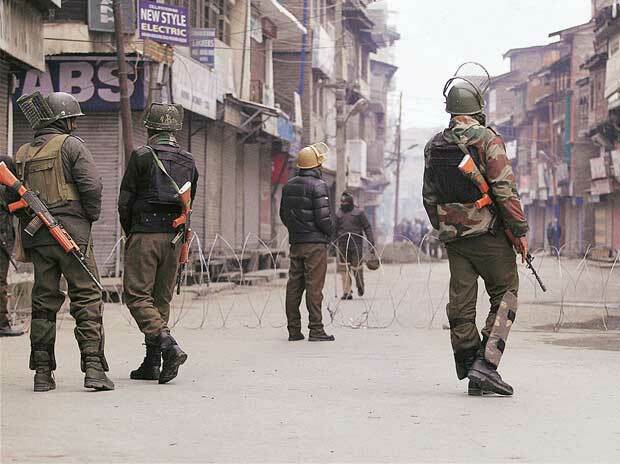 There is no change in most of the areas where paramilitary personnel are deployed, but new districts have been added in Jammu and Kashmir to cover almost the entire state, barring some areas in Jammu near the International Border (IB). However, areas in Jammu region that fall on the Line of Control (LoC) are covered. Dangerous Naxal-infested districts like Sukma, Dantewada, Bijapur, Narayanpur, Bastar (Chhattisgarh), Latehar (Jharkhand), Gadchiroli (Maharashtra) and Malkangiri (Odisha) have also been covered. Last week, the MHA has decided to allow air travel by paramilitary troops deployed in Jammu and Kashmir.